Louis Wiener, Jr. was born in Pittsburgh, Pennsylvania on March 28, 1915 and moved to Las Vegas, Nevada in 1931. He graduated from Las Vegas High School in 1932. Wiener attended the University of Nevada in Reno and the University of California/Berkeley Boalt Hall School of Law. He practiced law in Las Vegas from 1941 until 1996. He was admitted to the County Bar Association at a time when there were only 16 other attorneys in Las Vegas. Throughout the years, he continued his practice...starting his day before 6 a.m. In 1996, he was the longest-tenured attorney in Southern Nevada. A sampling of Wiener's clients included: entertainer Frank Sinatra, corporate magnate Kirk Kerkorian, attorney Melvin Belli, billionaire Howard Hughes, and Flamingo Hotel owner Benjamin (Bugsy) Siegel. Wiener played a prominent role in Nevada gaming by representing nearly every major hotel for some period of time between the 1950s and 1970s. He owned several casino properties in both the downtown and Strip casino areas, and for nearly 20 years operated all slot operations at McCarran International Airport. Wiener also made a substantial impact on the broadcasting industry in southern Nevada. In the early 1970s he became an owner in Broadcast Associates. KBMI, one of the two stations that comprised the group, became southern Nevada's first all-news radio station (local affiliate for NBC's News and Information Service). In the early 1980s, he expanded his broadcast interests into television when he became a partner in, and vice president of, Sunbelt Broadcasting (NBC for Nevada). Through the years, Wiener made substantial contributions to the community. He helped hundreds of young people get started in business and provided hundreds of others with financial support for their educations. As a charter member of the UNLV Foundation, he assisted in academic fund-raising. In fact, he established the Wiener Scholarship in the UNLV Music Department and a fund in the Athletic Department for soccer. As a thank-you for his support, in November 1989, UNLV dedicated the Louis Wiener, Jr. Practice Soccer Field. Wiener served on the boards of directors for Boys' Town, WestCare, the UNLV Foundation, Sunbelt Broadcasting, the Nevada Law Foundation, and the Andre Agassi Foundation. In 1994, the Clark County Bar Association honored Wiener with its distinguished Professionalism Award; and the Organization for Rehabilitation Through Training (ORT) recognized him for Outstanding Dedication to Education. In 1993, the Regents of the University of Nevada honored Wiener as a Distinguished Nevadan during the UNLV commencement exercises; a year earlier the University of Nevada-Reno bestowed its top honor, the Alumni Achievement Award on Wiener. In 1992, the University of California/Boalt School of Law named him the Outstanding Alumnus--the first time a non-Californian has been so honored. In addition, he was recognized in 1992 by the National Association of Fund-Raising Executives as the first Philanthropist of the Year for Las Vegas. As the ultimate tribute, the Clark County School District approved the naming of the Louis Wiener, Jr. Elementary School in February 1990. The school, which educates kindergartener through fifth grade students, opened in the Fall of 1993. 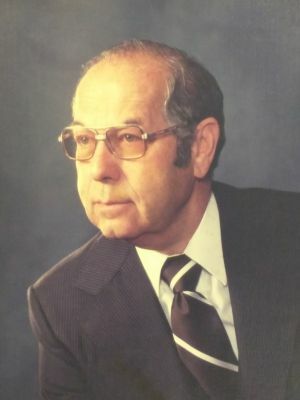 Louis Wiener, Jr. died in Las Vegas on February 6, 1996. More than 1,100 people celebrated his life in a special "event" at the old Las Vegas High School Auditorium on February 12. Since his death, Sunbelt Broadcasting has established three annual $1000 broadcast scholarships in Wiener's name at the University of Nevada/Reno Donald W. Reynolds School of Journalism. He was also posthumously awarded an honorary Doctorate in Philosophy from the University of Nevada/Las Vegas in 1997. Biographical information provided by Nevada State Senator Valerie Wiener.